TsukiMoon is home sick today so, no standard napkin note. Instead here is a series I did on cloth today for a friend. She really liked the Bad Kitty Series I did before spring break and wanted some for herself. 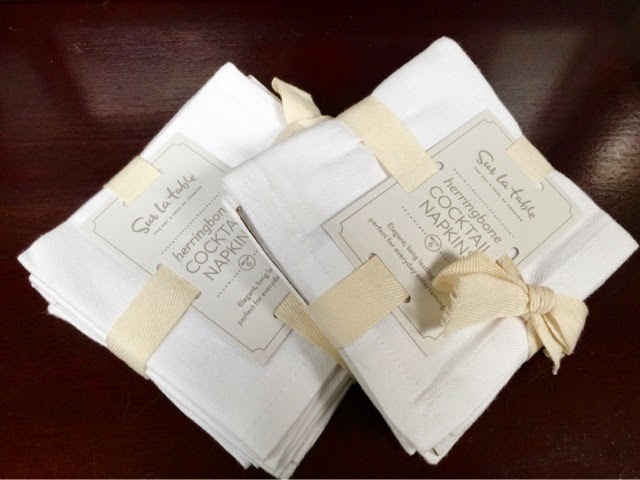 I had to design 2 more to fill the 6 napkins that come in a pack from Sur la Table. The 2 on the end are new. 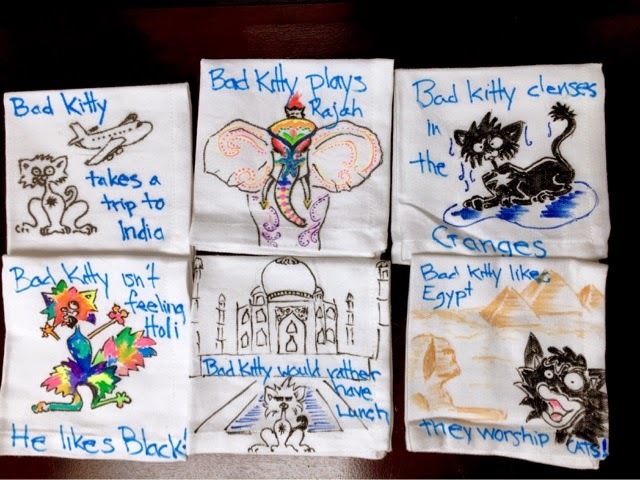 On the back of the Egypt napkin it says, " NOT Cows!" Here are how the napkins came from the store. At the urging of a friend I sent the picture at the top to Nick Bruel, the creator of "Bad Kitty," and he WROTE BACK! Kitty's expressions, which is not so easy to do. Thank you very much for sharing these with me. You're quite talented. How cool is that? Definitely made my day! Drug Study-- Update, Does This Stuff Work?